There are a lot of companies that build houses. How do you compare one to another? 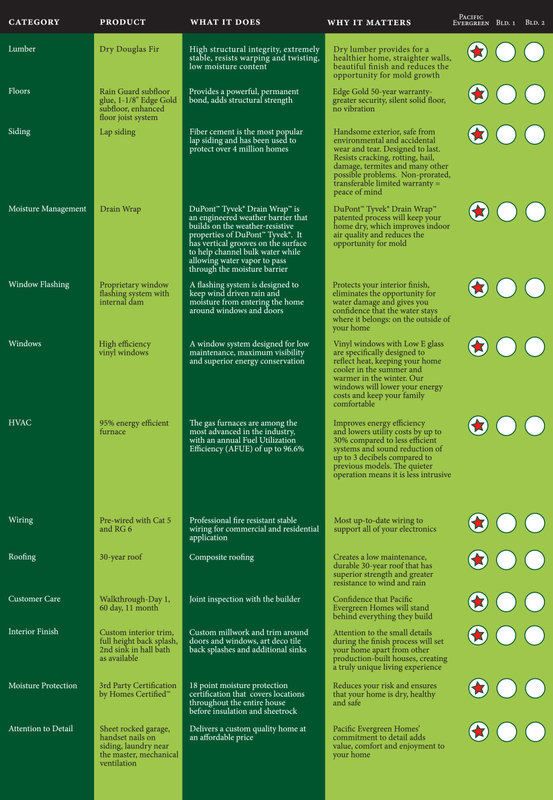 To help you sort this out, we've prepared a list of what we think is important and why they're included in every home that we build. The next time you're out looking, ask the builder how they stack up. When it's all said and done, we think you'll agree that we're serious about building a quality home at a great price. 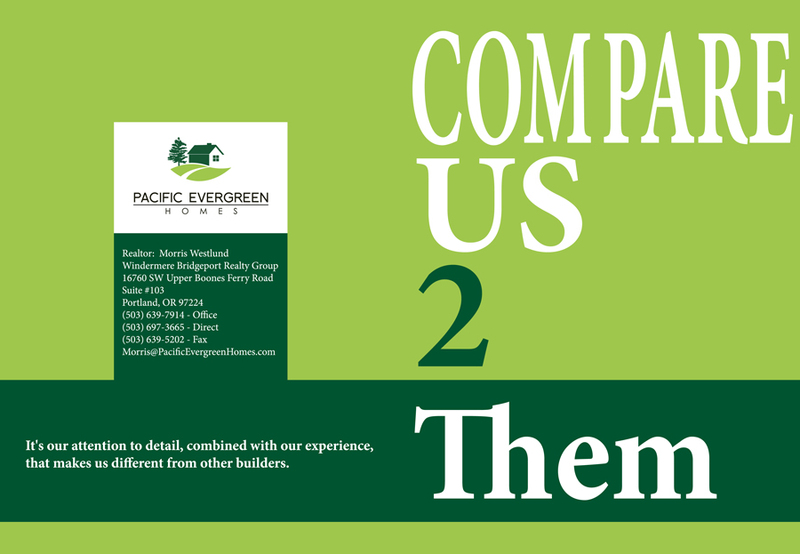 Click on the pictures below to learn more about how we compare to other home builders. To downoad a PDF version of the document, click the View PDF button. There's no better way to describe what we do than to let our customers speak for us, as this brochure demonstrates. 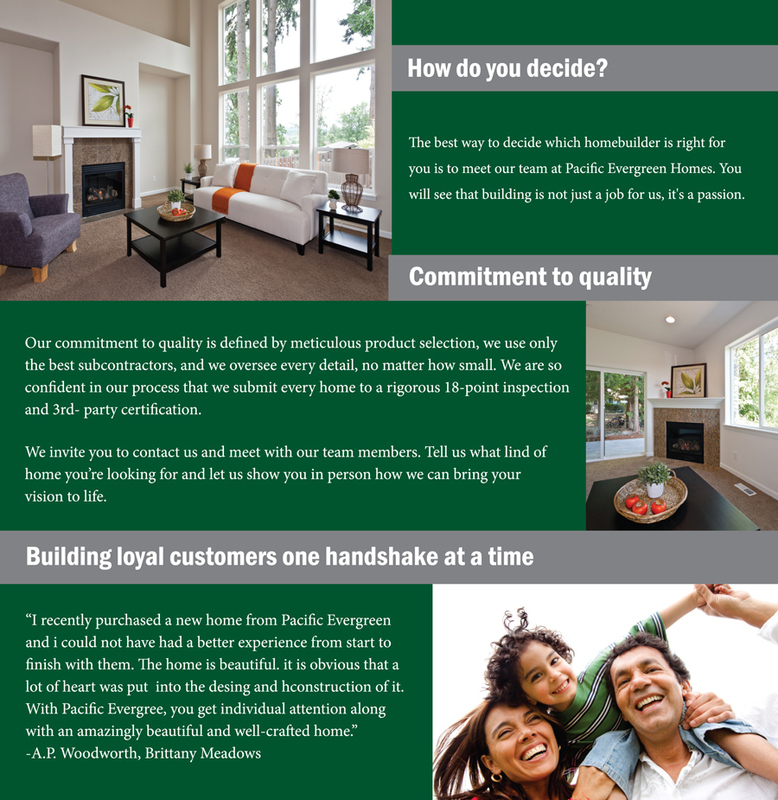 An explanation of our building philosophy that results in a high quality, extremely well built home. For each important component of a house, we list the product we use, what it does, and why it matters. Use this to compare us to other builders.